This article contains the best daily horse racing tips collected from the daily newspapers, best tipsters and professional punters Find here today's Leopardstwon selections and enjoy your betting with our exclusive bookmakers promotions and free bets. Good luck with our Leopardstown daily picks! We have predictions for all the horseracing meetings from UK, South Africa, France, UAE and USA. Visit our horse racing betting tips section here. Our predictions are completely free - no sign up or personal details required. Looking for the best horse of the day? Visit our Horse of the Day section! If you follow our dedicated Twitter account - @betandskill - you'll not miss any winning tip on horse racing! Leopardstown Racecourse is based about 5 miles south of Dublin and it is second in importance to only the Curragh in Ireland. It is Ireland’s premier jumps course with the Christmas meeting full of clues for the Cheltenham Festival. 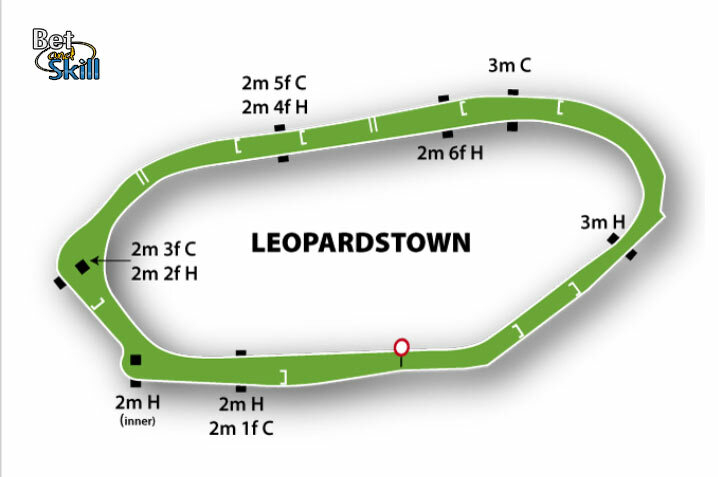 Leopardstown is a wide, left handed round of 1 mile 6 furlongs with a run in of 2 3/4 furlongs and uphill finish. There are 7 hurdles and 10 fences on circuit. The course is fairly level with easy turns except for a slight rise from the last bend to the winning line. It provides a fair test, although three of the fences in the back straight are close together and occasionally catch out the less-accomplished chaser, and the finishing straight is relatively short. Leopardstown plays host to many of the greatest races in the calendar, on the flat, over hurdles and over fences. It is the venue for the opening day of Irish Champions Weekend, the Leopardstown Christmas Festival, the Irish Champion Hurdle and the Gold Cup. The Group 1 Irish Champion Stakes and the Group 1 Matron Stakes are the major Flat events at the venue, both run in September. 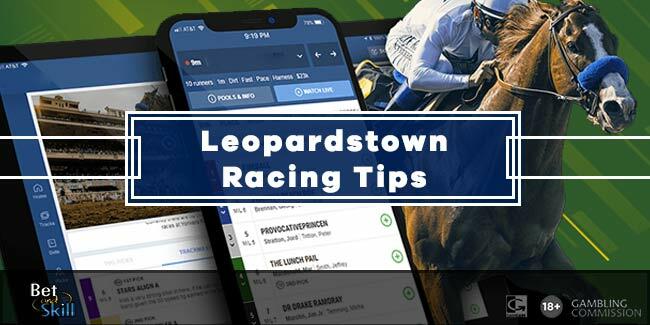 "Today's Leopardstown horse racing tips, predictions and free bets"